The front passenger fender flare blew off my XJ (not pictured) at highway speeds this weekend, and my loving boyfriend saw fit to scour the internet for the solution (pictured above) to my problems. I was going to cut n' roll the fenders once it warmed up anyway, but it still stings watching part of your car bail at 65mph and knock your side mirror against the door in the process with violence unexpected from a piece of plastic. 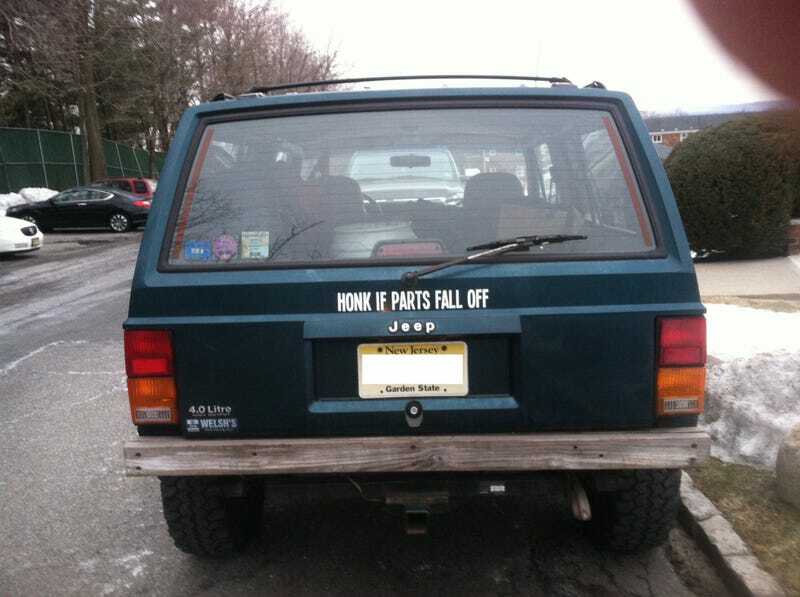 Gotta say the decal is looking pretty reasonable right about now, both as a service to me and as a warning to fellow motorists.